An update to Vol. 1, pp. 249–254. The renewed excavations at Tel Beth-Shemesh began in 1990 under the direction of S. Bunimovitz and Z. Lederman. 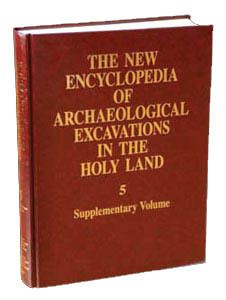 The 1990–1996 excavations were conducted on behalf of the Department of Land of Israel Studies at Bar-Ilan University; from 1995–1996 they were in collaboration with the Department of Bible and Ancient Near Eastern Studies at Ben-Gurion University of the Negev. From 1996 the expedition has collaborated with S. Weitzman of Indiana University, Bloomington, Indiana, and from 1997 it has been under the auspices of the Institute of Archaeology of Tel Aviv University.